This year our main event will focus on sessions for users, implementers and advanced users, with developer training taking place during the Sprint. We will be dedicating the conference to charities, organisations, members groups and anyone who is interested in learning about using the third sector’s leading CRM and getting the very best out of their Civi. Plus we have worked hard to lower costs to make this one-day event accessible for everyone - and they’re lower still if you get your early bird tickets before 4 August! 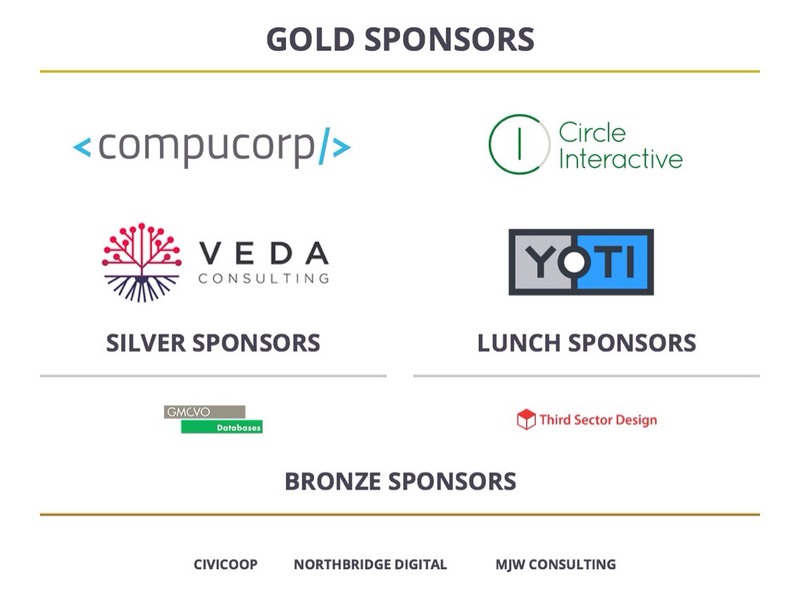 Thank you to all our sponsors for supporting the Civi community in such a meaningful way - we couldn’t do this without you! There will be lots of networking opportunities for you to meet implementers, developers, partners and consultants for you to discuss your project with. If you are thinking about a CiviCRM project, want to learn more key CRM skills, or just find out what’s new in the CiviCRM community, CiviCON UK will make sure that you get the most out of your CiviCRM project. There are still some sponsorship opportunities available if you would like to join these amazing companies in helping to make CiviCON UK possible - please see our website for more information: https://civicrm.org/civicon/UK-2017/sponsorship.